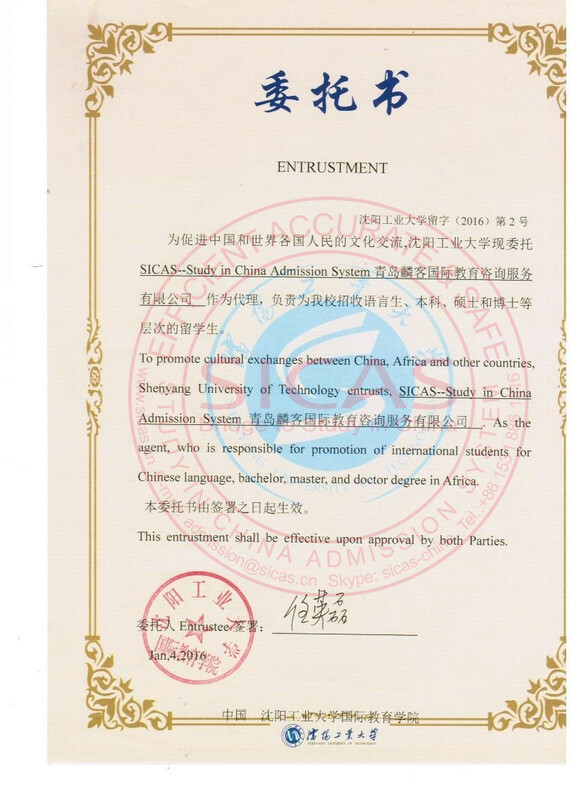 Shenyang University of Technology is authorized for the conferment of Bachelor's Degree, Master's Degree and Doctor' Degree. 5 first-level disciplines and 17 second-level disciplines are authorized for the conferment of Doctor' Degree, and 71 second-level disciplines for the conferment of Master's Degree. Shenyang University of Technology will be a perfect learning destination for those interested in studying Engineering in China. Shenyang University of Technology (SUT), situated in Shenyang-a key modern city in the northeast, is an engineering oriented comprehensive university, with its subjects covering such seven areas, as engineering, science, economy, management, liberal arts, laws and philosophy. Covering a total area of 1,596,000 square meters and building area of 624,000 square meters, SUT has 20 Schools, 3 Teaching Departments, 2 Engineering Practice Centers, with 50 undergraduate programs and 20 three-year-term programs.